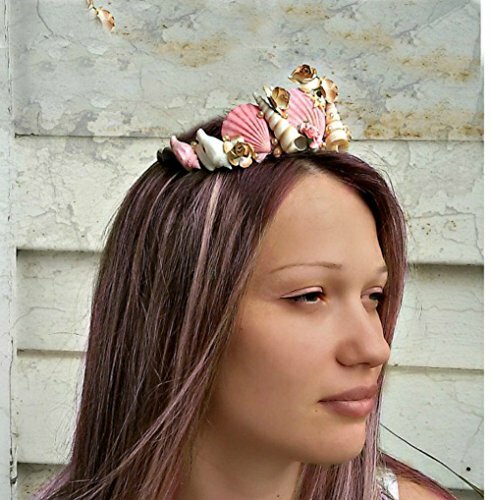 Pink Colored mermaid crown, Seashell girl tiara, Mermaid headpiece, seashell crown, shell crown This crown of sea shells is perfect for a beach wedding beach or a mermaid costume for Halloween or mermaid party. . If you need other combinations of colors, Just contact me via converstions. Materials: natural sea shells, starfish, paper flowers, silver base crown. If you have any questions about this product by Handmade AnaMarina, contact us by completing and submitting the form below. If you are looking for a specif part number, please include it with your message.